Ladies cut with shaped side seems. Taped neckline. Twin needle sleeves and hem. Small: Ladies size 10, Chest (to fit) 32. Medium: Ladies size 12, Chest (to fit) 34. Large: Ladies size 14, Chest (to fit) 36. Extra Large: Ladies size 16, Chest (to fit) 38. Extra Extra Large: Ladies size 18 Chest (to fit) 40. 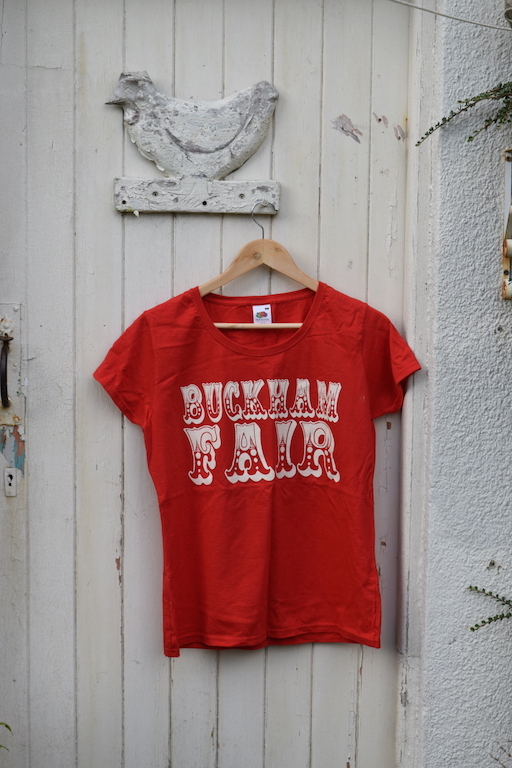 Our Buckham T-Shirt range is a popular one – no matter where in the world you are. 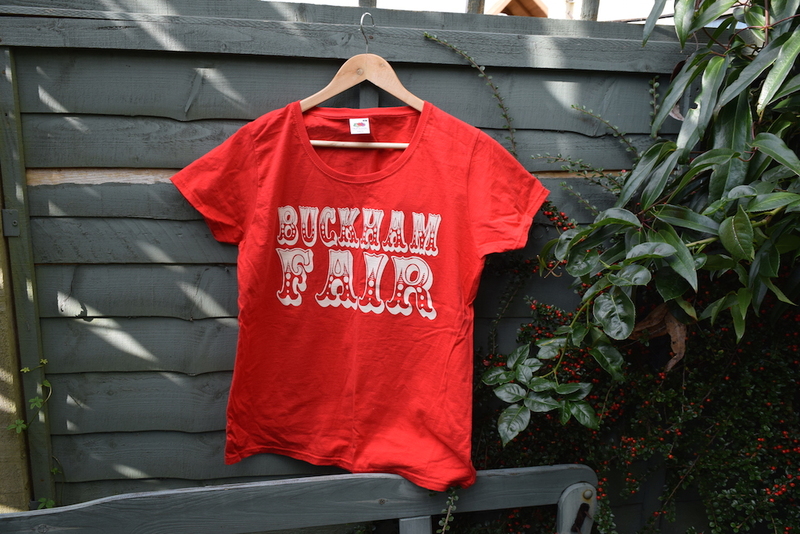 Our Ladies t-shirts offer a more tailored fit and are made of 100% cotton and are available in Red in sizes Sml, Med, Lrg, XLrg. 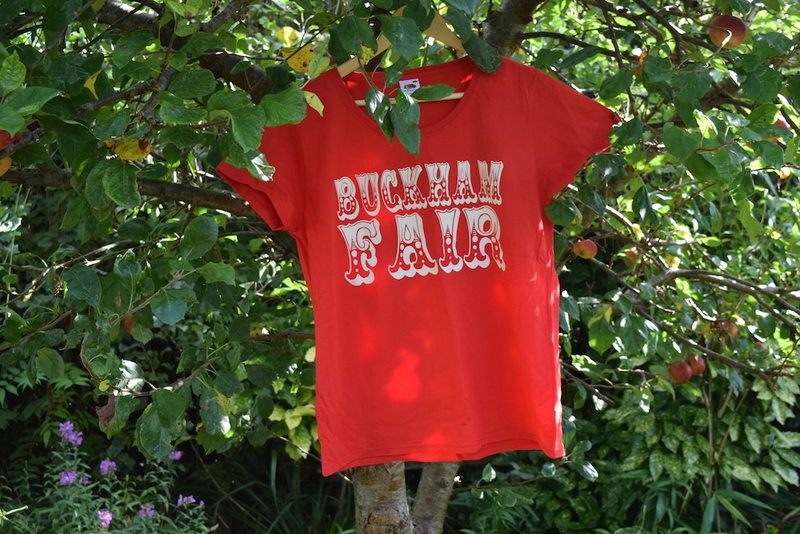 Our t-shirts also sport the Buckham Fair logo – designed by Martin Clunes himself. 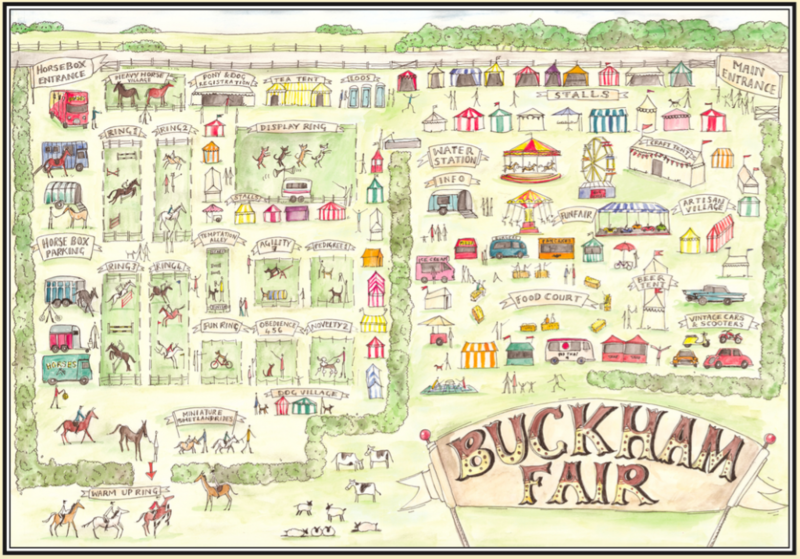 Take home a little Buckham Fair, today.